The Tutoring Resource Center provides a variety of services which facilitate the success of North Central State College students. 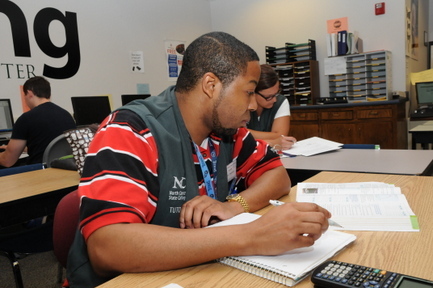 Tutoring is available to support student success with most coursework, study skills, test anxiety, Accuplacer preparation, TEASV/HOBET testing, keyboarding, and computer skills. Drop-IN Tutoring – This option is for students who prefer to study more independently, at their own pace and on a flexible schedule, but who appreciate having tutors and resources available when they need extra help. We have drop-in tutors for many courses. The tutors can help you identify your preferred learning style, develop more effective study habits and time management skills, and provide you with the academic tools for success. 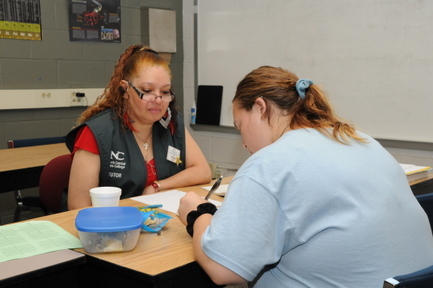 Tutoring by Appointment – This option is best for students preferring more one-on-one, comprehensive tutoring. Tutoring by appointment is available in most subjects offered at North Central State College. An archive of additional studying and learning resources.